This month the blog is related to topics that the Rocktime Technical Team discuss. In this blog Craig talks iFrames and Facebook. Think of it as a 'Window within a browser'. Facebook, as of February 2011, officially allowed the use of iFrames; allowing users to build fully customised facebook pages for their custom page tabs. 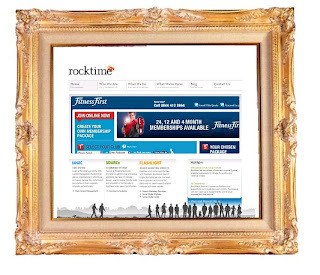 An iFrame is a section within a web page that can display another web page. This will allow for externally hosted web applications such as shops, forums, booking forms and more to be included on a Facebook Page. iFrames allow for more flexibility in pages compared to the FBML (Facebook mark up language) which is now being depreciated; old pages using the FBML will still function however all new pages will have to be created using an iFrame. FBML was developed to enable users to build Facebook apps that integrated into a user's Facebook. Currently, Facebook app uses iFrames to integrate website content into your Facebook page. It can do whatever a normal webpage can do. To find out more about iFrames and how you can integrate your webpages into Facebook, please talk to our Sales team. Also you may like to note that the majority of our Content Management System modules have the ability to be fed into Facebook via a Facebook Application. The Facebook Application will render as an iFrame, which will stream content directly from your website. The Flashlight team will be promoting our integration of our Competition Module with Facebook, so if you have this module, then they may be in touch soon to enquire about an update.